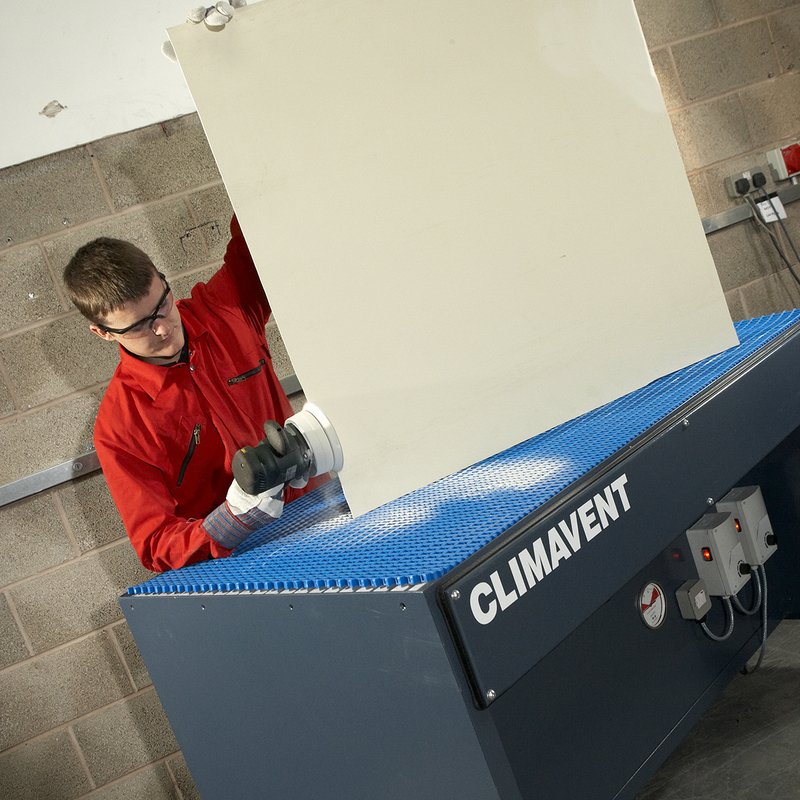 Workspaces are cleaner and healthier with Climavent Down Draught Benches. Airborne dust or fume is sucked into the unit top and trapped in a deep-pleated, fire-safe filter, before the clean air is recirculated. 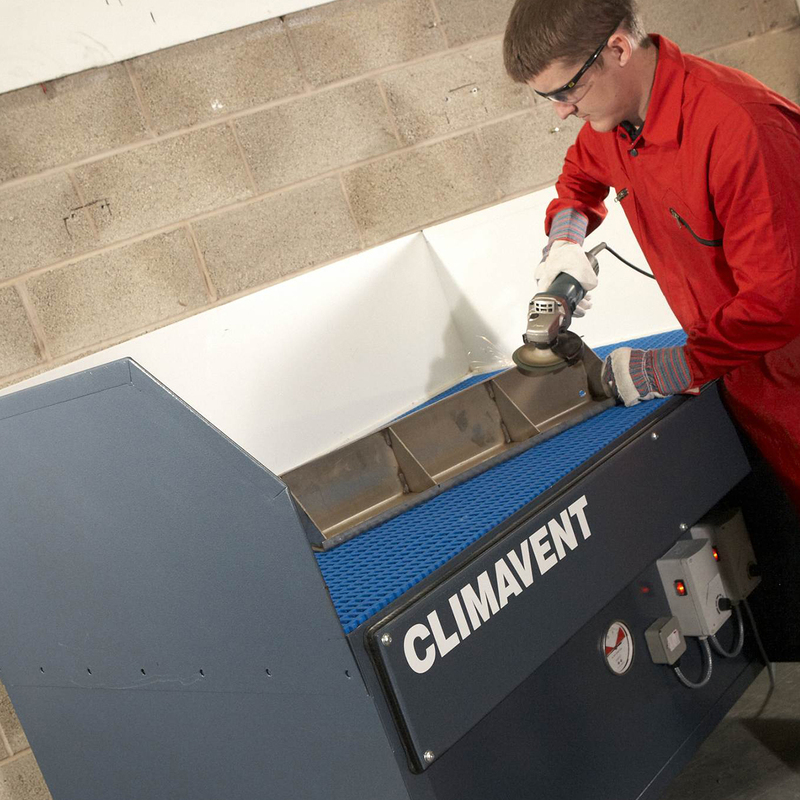 This Compact Down Draught Bench is designed for small and medium level grinding and sanding applications. Three standard widths are available: 1.2m, 1.5m and 1.9m, but we can custom make your bench(es) to any specification. You can also tailor your down draught bench with additional features, including full height canopies, integral lighting, low level back and side shields and castors. 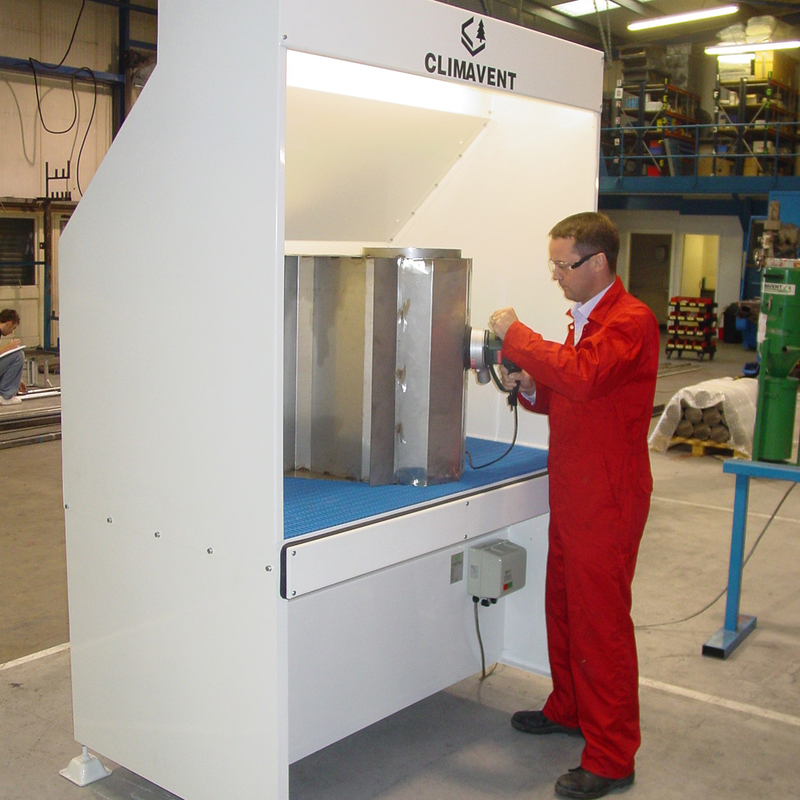 Talk to our engineers about extraction benches built for the way you work.